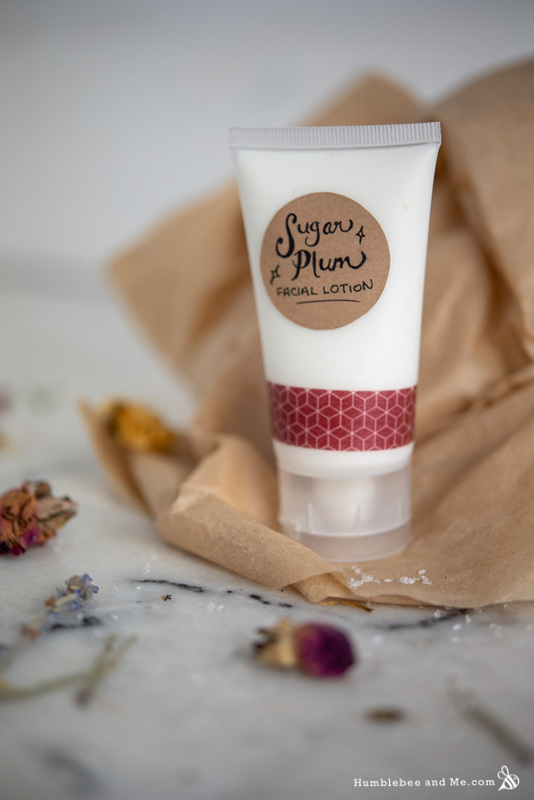 Because this is a facial lotion I’ve packed it with a selection of things that are amazing for your skin (if you don’t have something, please refer to the substitutions list at the end of the post and the Humblebee & Me Encyclopedia). Our oil phase is pretty small to keep the lotion lightweight and fast-absorbing. 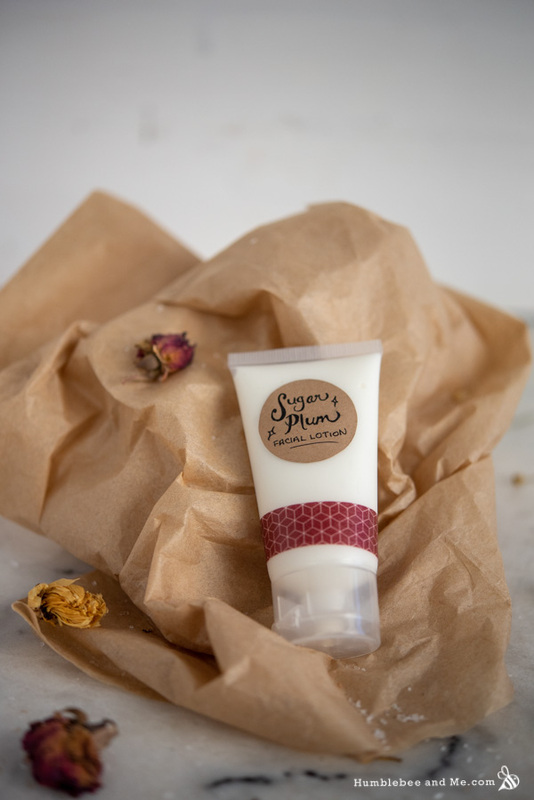 I’ve used a blend of fragrant plum oil and antioxidant rich argan oil for the bulk of it—an earlier version of this formula used more plum oil (plus some essential oils) than the version I’m sharing today, but I found it to be too fragrant for facial application so I dialed things back. I’ve also included a touch of dimethicone 350 as it is an excellent (and completely safe, non-pore-clogging, non-skin-suffocating) skin protectant, which is always a good thing in December in Canada! If you don’t want to use it, please refer to the substitutions list at the end of the recipe. For our emulsifier I thought I’d use an emulsifier I used to use a lot, but haven’t used in ages—Ritamulse SCG, also known as Emulsimulse or ECOMulse. It’s an ECO-CERT complete emulsifying wax that gives our products a beautiful powdery finish. 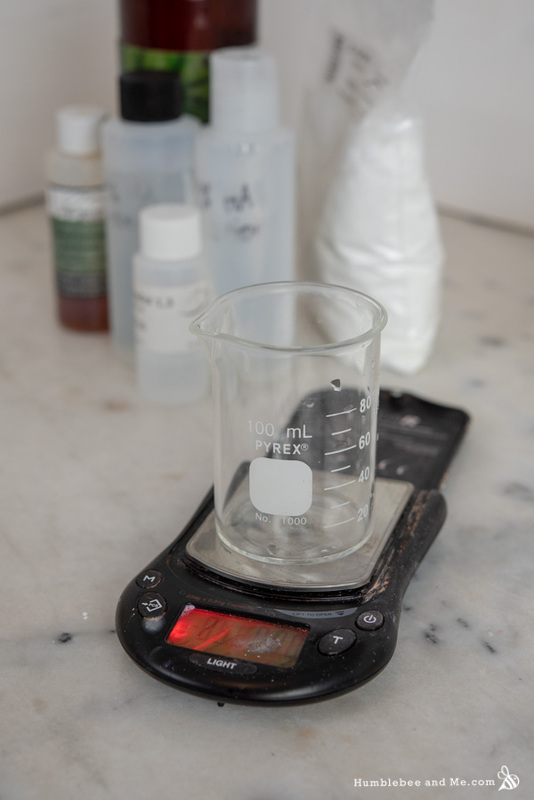 I find it creates thicker emulsions than similar amounts of Polawax or Emulsifying Wax NF, so I reduced the amount of cetyl alcohol that I might otherwise include to keep the lotion nice and pump-able. The bulk of our awesome-for-skin actives are in our water phase and our cool down phase. I’ve included 20% of a 1% low molecular weight hyaluronic acid stock; that makes for a 0.2% concentration of hyaluronic acid in the end product, which has been shown to be effective. Hyaluronic acid is an excellent humectant, helping plump our skin and keep it soft and hydrated. Vegetable glycerin and propanediol further amp up the humectant profile of the lotion, helping combat winter dryness. I’ve also included some panthenol (vitamin B5) and hydrolyzed oat protein. Panthenol is anti-inflammatory and helps reduce trans-epidermal water loss (TEWL), while hydrolyzed oat protein helps retain moisture and leave the skin feeling soft and lovely. In the cool down phase we’ve got some Penstia powder, allantoin, and N-Acetyl Glucosamine (NAG). Penstia powder significantly improves the feel of the lotion, improving slip and generally making the lotion feel much more luxurious. Allantoin is soothing and helps boost healing; it’s not hugely water soluble, though, so we’re adding a small amount in the cool down phase to prevent recrystallization as the lotion cools. N-Acetyl Glucosamine (NAG) is an ingredient I’ve been meaning to play with for a while—it has been found to help with moisturizing, boost healing, increase collagen production, improve skin tone, reduce the appearance of wrinkles, and take you to the Bahamas for a relaxing beach vacation. In short, it’s pretty amazeballs. It can be derived from the shells of crustaceans, so if you are vegan (or allergic to shellfish) you’ll want to inquire with your supplier about the source. Phew. That was a lot of ingredient talk! 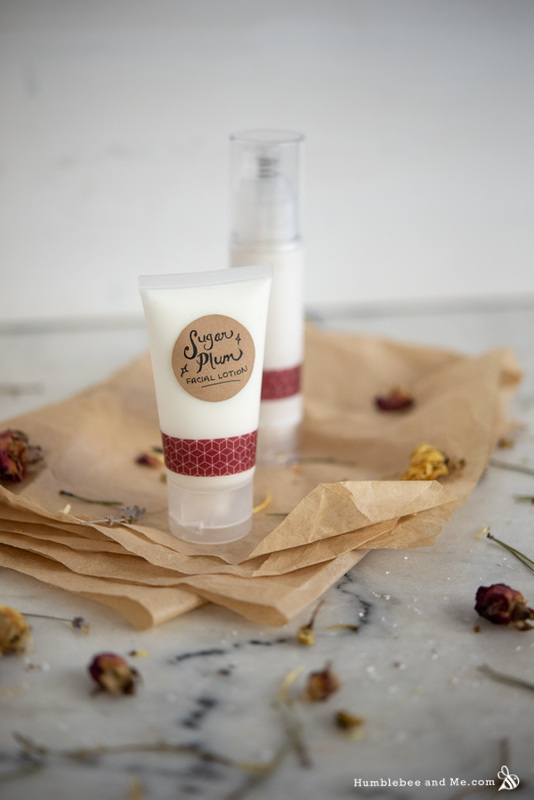 Fortunately the making part is pretty easy—it’s standard lotion-y procedure with our two heated phases, some blending, and a cool down phase to wrap things up. The end product is lovely enough that you’ll probably just want to keep it for yourself, and I don’t blame you. Merry Christmas from me to you! Now you can package it! I split the batch between a 50g soft squeeze tube from YellowBee and a 50g airless pump bottle (I’m not sure where it came from). If you don’t have the hylaronic acid you can try replacing it with aloe vera juice or just use more water. This isn’t a very good swap as neither are anywhere close to the moisturizer that HA is, but you can’t just leave it out. You can try a different hydrolyzed protein, like silk, instead of the hydrolyzed oat protein. If you don’t have the plum oil (I haven’t found it in Canada yet—I’m sorry!) I think your best alternatives would be apricot kernel oil or cherry kernel oil—oils that are also pressed from the kernels of similar stone fruits. You will lose the marzipan/cherry note; if you aren’t a fan of the scent you might prefer that! Otherwise, you can look for a fragrance oil with a similar scent and incorporate it (I’d start at 0.1–0.2% as it’s a pretty subtle scent). I haven’t found this scent anywhere else in the realm of natural ingredients, sadly. You can use Olivem1000, Polawax, or Emulsifying Wax NF instead of Ritamulse SCG. You can try cetearyl alcohol instead of cetyl alcohol. You can replace the dimethicone 350 with more argan oil, or a natural silicone alternative like LuxGlide N350. You can use more water instead of the Penstia powder. A comfrey root extract would be a good alternative for the allantoin, though you will need to check the recommended usage rate and likely adjust the recipe—there’s a very good chance the recommended usage rate is much higher that 0.5% as it will not be as concentrated. You can replace the NAG with more water or more of a non-sticky humectant. This isn’t really a substitution (read the post—NAG does a lot! ), but it’ll keep the recipe in balance. The plum oil was gifted by Essential Wholesale & Labs. The plastic soft tube was gifted by YellowBee. The hyaluronic acid was gifted by Pure Nature. I have been wanting to play with some hyaluronic acid for a while now. 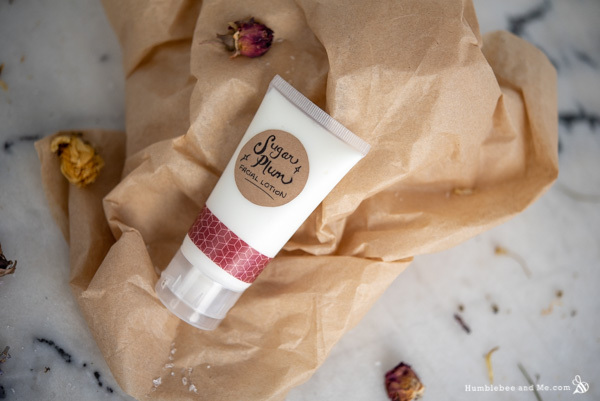 This lotion sounds beautiful and the perfect one to give it a try. Mostly because I was already loading up on actives and vitamins and thought things were getting a bit crazy, ha. You definitely could, though! Hi Marie, I’ve been making the Lemon Rose facial lotion with Hyaluronic Acid. How do you think this lotion compares to that? Hi! Thank you for all of the ingredient talk! It helps to know and better understand properties and benefits of what’s in a product. My question is about the tools you use. 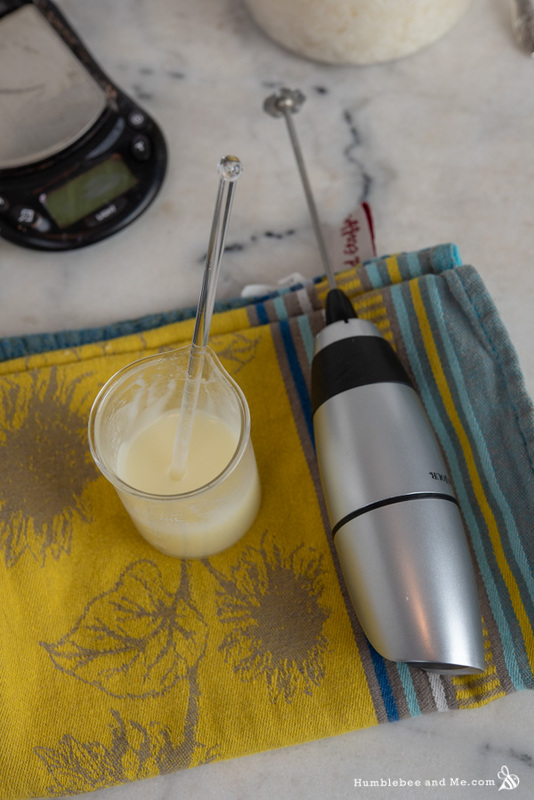 I am especially interested in the hand blender you posted the picture of in this post. Will you tell me the brand name? Can you recommend which of the many HA options that you would use from Lotion Crafter for this? To make this malassezia safe, would I be able to replace the plum & argan oil with squalane? MCT would be my go-to inexpensive oil, with squalane as the fancier alternative. That said, make sure you’re watching out for emulsifiers and all kinds of other things—I’m not confident that’s the only swap you’d have to make for this usage case 🙁 Good luck! I love your website and your creations and I am a fellow student/graduate from Formula Botanica. 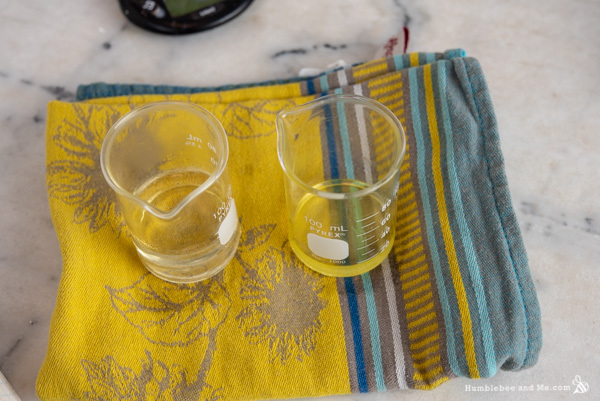 I have a question: I notice that in your lotion recipes you often make oil-in-water emulsions but instead of pouring the oil in the water phase, you pour the water in the oil phase and I was wondering how come ? 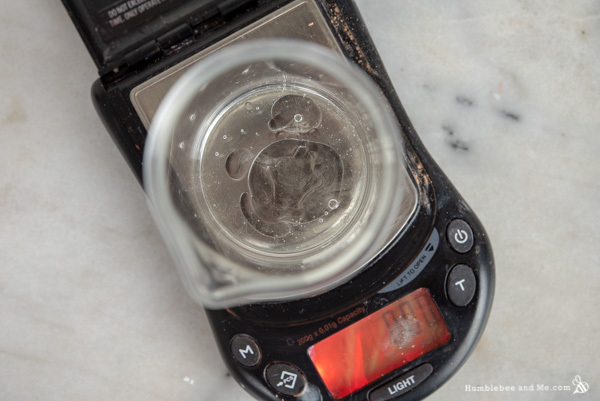 Is it because of the emulsifier you use or is there another reason ? Hey! It’s because the order you pour for these sorts of emulsions doesn’t impact the end product, and I find water comes out of its beaker more completely and easily than oil does. You’ll notice I don’t actually start blending until both parts are completely in the same container, which may have something to do with why this works perfectly fine for me—there’s no point at which the ratios between the two are drastically altered. I’ve made hundreds or oil-in-water emulsions by pouring the water into the oil with absolutely no issues. If you’re making a W/O (especially with lecithin) the slow water drizzle is important for success, but complete e-waxes are much more flexible. I hope that helps! Marie! NEVER apologize for giving us your wonderful recipes!! I have so many it’s hard to pick 3 or 5 or 10 to make for my loved ones! I always have to try the new ones…which sometime becomes regulars. I thank you for each and every one of them, AND all the info you attach with them! I truly would not be where I am in this DIY journey without you! I love your videos and your recipes. Keep doing exactly what you are doing…for all of us out here in cyberland who wait for you every next recipe. This has done all sorts of wonderful for my ahem “mature” skin. I have been using it since you posted it and have been asked what am I using on my skin as it looks so good! I am loving the addition of NAG and I have found it in Australia – bonus! Are there more recipes coming with it? And a very merry Christmas to you! Thanks so much for your wonderful blog. It’s been inspiring. Aaaaand….it’s Poppy again, with more of her inane questions! Okay, so, I’ve been seeing some new ingredients around the blog lately. And, yes, I haven’t been keeping up with it, sorry! Buuuut, these new ingredients, with odd names and weird INCIs…I WANT ALL OF THEM!!!!!!! And none of us have unlimited time (or wallets). SO, for someone who mostly makes lotions and creams, sometimes oil-based stuff like lip balm and body butter, and occasionally something foamy that might require a foaming surfactant, what surfactants, chemical compounds, and whatever-else should be on her shopping list? Thanks! Ooh! And something else….I was browsing Lotioncrafter recently, and I saw this new thingymabobber called, like, liquid crystal emulsifying wax or something else like that. Hang on….okay, got it! Here: Montanov™ 68 is a non-ionic, liquid crystal emulsifier based on the HLB system. Liquid crystal emulsifiers create a lamellar or bilayered structure that mimics the lipid bilayers in our stratum corneum, which may help actives or lipids from our lotions penetrate our skin easier. 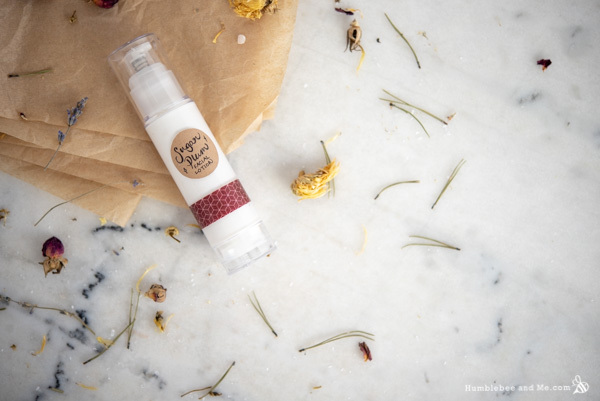 They also help reduce transepidermal water loss as the lotions hold more water in contact with the skin for a longer period of time, blah blah, blah, blah blah. I’m afraid you are so not going to like my answer as my last shopping list from Lotion Crafter came out to be about $150USD. But! I did get a massive box full of small containers containing so many awesome new ingredients to play with! 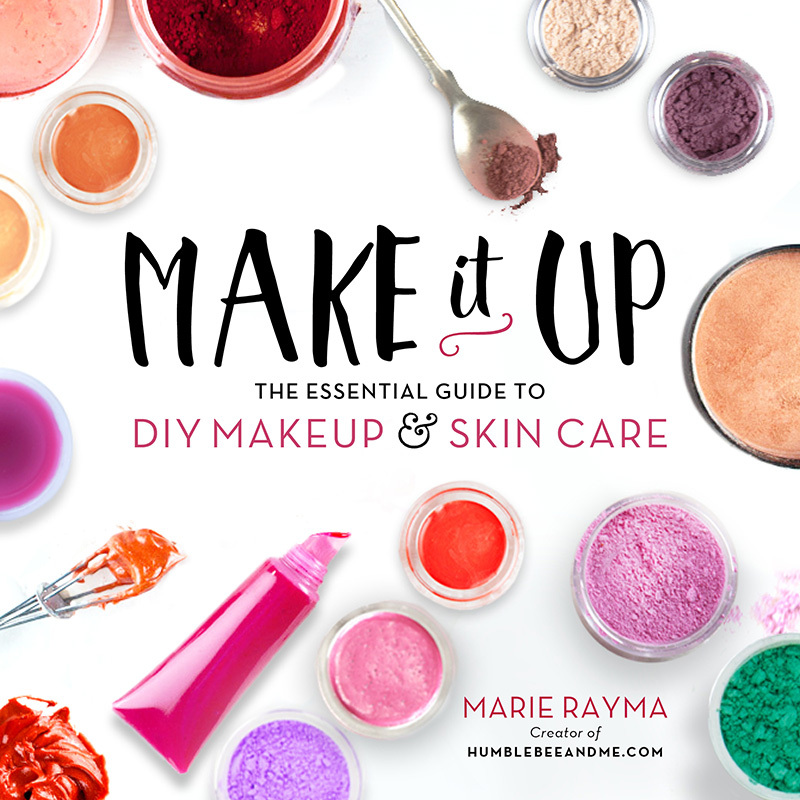 The best way to figure out what to buy is to figure out what works for you and your skin, or to look for common ingredients in the recipes you want to make. This lotion looks lovely. Do you think I can add in 5% Ceramide Complex from Lotioncrafter (subbing for 5% water) and still come up with a nice product? Can I replace vegetable glycerin with double the amounts of glycerin-based extracts that are 50:50 glycerin:water? I hope this question isn’t too annoying but let’s go anyway. If I wanted to add Urea and/or Caffeine to any of your lotion formulas, such as this one, which ingredients would I replace them with. I have researched but can’t seem to understand where they belong in the formula. Hey Gayle! I’ve written an entire FAQ on exactly this 🙂 It should get you sorted! Is this the original formula for the store bought product?